Finally its official! 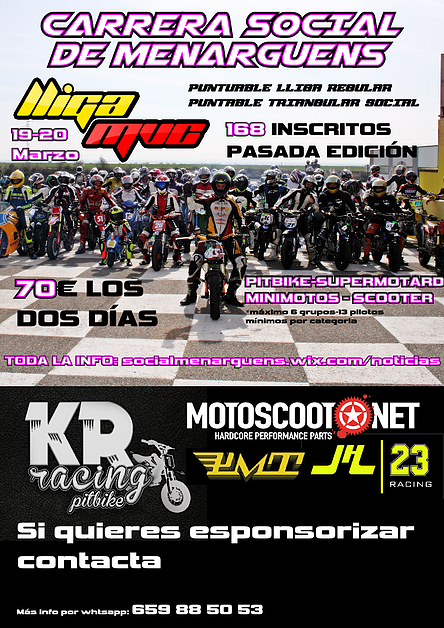 As a main sponsor we are proud to present the 4th edition of the social race in Menarguens which this year will be the first race of in total 7 races of the new LLIGA DE MINIVELOCITAT CATALANA! After beating all records with over 170 inscriptions last year, we are confident that we will be able to even top this exceptional high number of racers. PILOTO LIBRE (OPEN): Racers who only want to enjoy the social race and dont want to get points for the league! 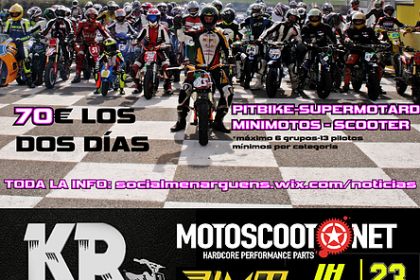 PILOTO AFICIONADO (ENTHUSIASTS): Racer who want to participate in three out of seven races. There will be a seperat classification for this category (spring – summer – autumn). PILOTO DE LIGA (AUTHENTIC RACERS): Classification for all those racers who take it really serious and participate in all seven races. There will be a race aproximately every 6 weeks.